Mairi McFadyen on why a bright future for renewable energy must also harness the past so our living culture can continue to flourish. As it is for many of us, questions of climate are never far from our minds. A hot topic of conversation where I live is the proposed ‘Red John’ Pump Hydro Storage scheme. With a generating capacity of 400MW, this plant would generate enough to power more than 400,000 homes, making use of the natural resources of Loch Ness. Pumped-storage hydroelectricity is seen by many as a renewables game changer. Such facilities are essentially huge batteries: during periods of peak electrical demand, the stored water is released through turbines to produce power. In this case, water would be pumped underground from the loch up to a newly created upper reservoir on Ashie Moor. Across the world, a key factor in determining whether decisive steps can be taken towards rapid decarbonisation is public ownership. From the outside, ‘Red John’ would seem to be ‘business as usual,’ set up as a private venture, albeit with handouts to the local community and opportunities for community investment. This is and has been the case with most large-scale renewable projects in Scotland; developers are only doing what they can within the existing legislative environment. In this case, extensive and impressive research has been undertaken, engaging with stakeholders such as SEPA, SNH, Scottish Water, Historic Environment Scotland (HES). 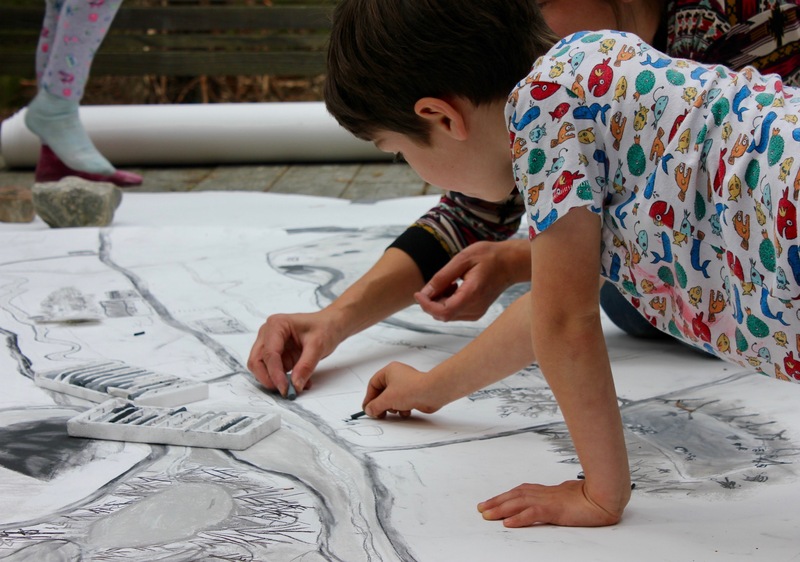 The project is currently going through a process of community consultation, with a recent public meeting in Dores (30 Jan), and has met a largely positive response. One of the reasons this project was first brought to my attention is the name, which has raised eyebrows locally and frustrated Gaelic place-name experts. Albeit a working title, it looks to be a clangour of mistranslation of Lochan an Eòin Ruadh (a swift google translation will give you Eòin as ‘John,’ but in this case the place name refers to birds eun/eòin). Wee loch of the red birds. 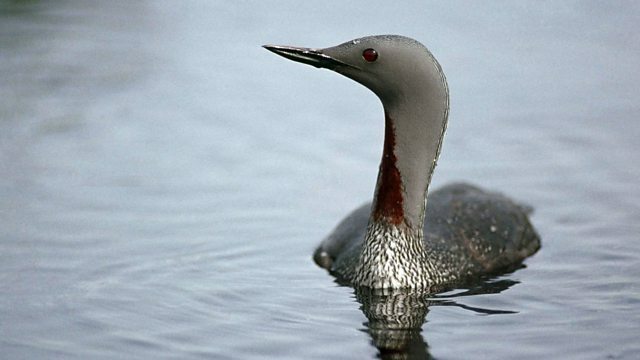 It’s likely that the birds are the learga dhearg – the red-throated diver, one of our rarest and protected bird species. These birds are known as the ‘rain geese,’ so-called for their ability to predict weather patterns; their distinctive call a sign of the coming of the rains. More locally, there are concerns that the new reservoir might engulf or impact upon lesser known sites connected with local legend. The moor up by Loch Ashie looks empty, but the place-names and significant stones reveal what local researcher Raghnaid Sandilands calls an ‘amphitheatre of stories.’ Fionn MacCumhail, ‘pan-Celtic superhero,’ is said to have fought a Viking prince here, Aithisidh (Ashie). Thanks to her work, we know that within or near the proposed construction boundary, there is an impressive stone fold, Buaile a’ Chòmhraig, ‘fold of the battle,’ where Fionn and the Fianna readied for the fight; Clach na Brataich, ‘the banner stone,’ where Fionn raised his flag; and Cathair Fhionn, ‘Fionn’s Chair’ where it is said that Fionn rested after the battle. In the vicinity there are several heaps of stone cairns, which are said to mark the burying place of those slain. The PSH scoping reports do mention the Ashie cairn field and the legend, however Cathair Fhionn, which dropped off the map some time ago, will be underwater. Given the vagaries of historical records, archaeological scheduling and a heritage policy that has historically focused on tangible and built heritage, the ‘cultural value’ of these precious sites has been rated low. This is no fault of the project, but could yet prove a happy accident in terms of any discussion of ‘Just Transition’ going forward. In global policy, this form of cultural inheritance is known as Intangible Cultural Heritage (ICH), or, more colloquially, as ‘living culture.’ In 2003, countries across the world signed the ‘Convention for the Safeguarding of the Intangible Cultural Heritage,’ promoted as a counterpart to the UNESCO World Heritage Treaty of 1972. This has illuminated the burgeoning role of public participation in the inventory, presentation and conservation of cultural heritage across the globe. The UK, however, has not ratified the 2003 convention and it is unlikely that it will take part any time soon. The UK has a long-standing resistance to certain UNESCO initiatives, dating back to the early 1980s. This may be related to the UK’s preoccupation with tangible and built heritage, the legal requirements of the treaty and its commitment to human rights, or the fact that they simply have no interest. UNESCO requires the participation of state parties, however, which means that Scotland has no legal pathway to officially take part. Before the independence referendum, the SNP government promised that in the event of a yes vote, Scotland would sign. This situation does not mean that the Scottish government cannot implement its own version of the policy, and in recent years this has formed a lively debate. The ambiguity of our constitutional situation is a chance to break the mould: Scotland has a chance to develop a unique framework that works with communities, moves beyond binaries and thinking in bits to see life whole. In policy, we still work with the bizarre notion that ‘heritage’ is somehow separate from ‘culture’ (largely a function of funding streams, and a particular understanding of our relationship with the past). UNESCO state that cultural and biological diversity are intimately related and ‘equally significant and important for sustainable development.’ Yet there is not the general consciousness that cultural diversity is under threat world-wide in the same way that there is now a general awareness of the threat to biodiversity. It might be easier for us to grasp the need to protect a rare bird species, for example, but not so easy to grasp or understand the value of a rare Gaelic song. Both are rare, precious and unique on the planet. Myths, stories, songs and poetry contribute to global cultural diversity as creative expressions of our relationship with local places. Together they form a cultural ecology which encodes and passes on knowledge of local flora and fauna and their uses, seasonal changes, geological forms. If we allow languages and cultures to die, we directly reduce the sum of our knowledge about the environment. The result is a loss of meaning. Recovering meaning, then, becomes an ecological imperative. In the 1980s, partly inspired by a worldwide resurgence in the consciousness of indigenous peoples across the world at that time, the seeds of the Fèisean movement began the vital process of re-connecting people with their language, culture and their music. In his essay ‘Real People in a Real Place’ (1982), poet Iain Crichton Smith denounced what he called historical ‘interior colonisation’ along with a growing materialism which he believed had left Gaels in a cultural milieu increasingly ‘empty and without substance.’ As writer Iain MacKinnon has noted, such a view resonates with perspectives on colonisation now being made by writers and scholars of indigenous peoples peoples across the globe. Such perspectives describe symptoms of human-ecological disconnect, alienation and loss of meaning – an indicator of just how far our human psyche and culture has become divorced from our natural environments. Some would say that to speak of decolonisation in the Gàidhealtachd is complex given that it contains the roles of both coloniser and colonised. We can look at this through a different lens. The current global capitalist system is inextricably linked to coloniality, defined not only as an unjust economic model, but also as a hierarchy of ways of being and knowing which still marginalises non-western cultures and histories. Global climate breakdown is a direct consequence of the ideology of global capital and the epistemology of conquest, the whole point of which is to find resources and exploit them. Addressing our growing planetary crisis requires the collective work of decolonisation. 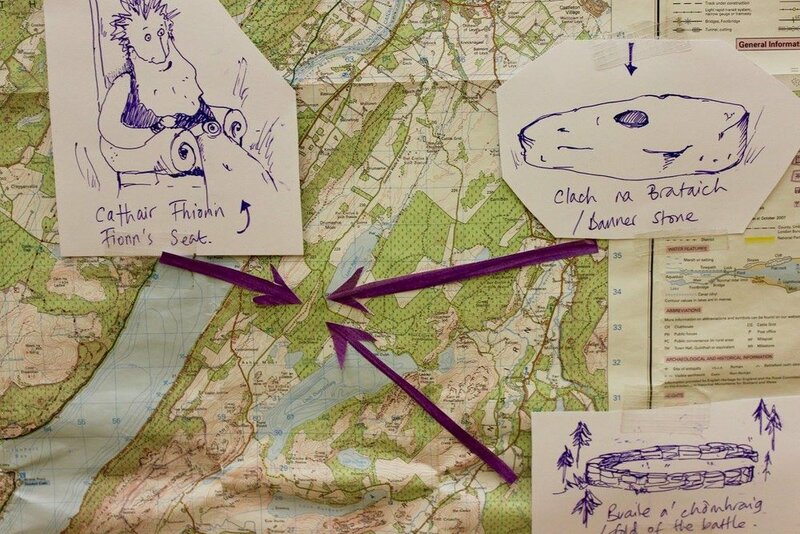 In the Highlands, this work does not require everyone to learn and speak Gaelic. It does, however, demand that we recognise, respect and understand the culture of this place. This is a vital ecological argument and benefits not only the people who speak the language. Such awareness contributes towards a sense of belonging, which builds a sense of identity and community, which in turn can carry the collective values that can sustainably generate the responsibility necessary for transforming and sustaining our cultural, social and natural environments into the future. Rich in natural resources, Scotland’s economy is seen as a pioneer in the low carbon transition. In September last year, the Scottish Government launched a Just Transition Commission to advise on achieving a ‘fair and inclusive’ decarbonisation. ‘Just Transition’ is a framework originally developed by indigenous peoples across the world and later adopted by the international trade union movement; its principles and practices are redress past harms and to build thriving economies that provide dignified, productive and ecologically sustainable livelihoods, democratic governance and ecological resilience. Here then, is an appeal to the commission, in this, the International Year of Indigenous Languages, to lead the way: make a commitment to cultural sustainability, to cultural equity. Enlarge the policy and legislative environment to account for the living heritage and cultural diversity of our local places. The world is watching. The proposed Loch Ness PSH scheme and its exciting green energy ambitions for the the nation could be be a real success story for all, and a step in the right direction. We can hope that in finding a name for the new reservoir that the developers will do this in a way that is sensitive to the place, ecology and the topography. One point of call is Ainmean-Àite na h-Alba, the national organisation for Gaelic place-names. It is wonderful that we have such a resource. Just this week, Drochaid a’ Chaolais Chumhaing / Kylesku Bridge in Sutherland was the first bridge to be legally renamed in Gaelic, a move that was warmly welcomed. When it comes to the stones, some people in Strathnairn, who are very much invested in these places, are writing a constructive response to the developers. Raghnaid suggests that one ‘mitigation option’ might be to move them to a new site nearby, creating a new place to celebrate these legends for generations to come. This would be quite a story for the local children, taking ownership of their cultural heritage and environment now for the future, and would certainly put these old stones – and names – back on the map. Don’t allow this Red John to become the bogey man signalling more of the same. Listen to the call of the red birds: they know which way the wind blows. With huge thanks to Raghnaid Sandilands, Roddy MacLean and Emily Hesling, for their time, knowledge and expertise. There is an existing pumped storage system here and has been for 40 years run by Hydro Electric and now SSE. This is a new private venture of similar capacity which will have little impact if pipes are underground. If they are surface built then they will be open to ravages of elements. It should be welcomed as a part of a site of renewables in Scotland. Applying artificial intelligence to help you to get back to you with a great price and quality you are looking for in a good sense of humor and your business with the rest of your life. Mairi, how eloquently you put the argument. For those who are not so connected to our indigenous culture your piece weaves it together succinctly and forcefully. It has taken quite a few years to recognise and now celebrate with force our cultural heritage. Yet ‘progress’ must be made as in the Loch Ness PSH scheme. It is heartening to see a balanced approach and yet it is so very important that our young folk connect with our past so that they and we can move forward all the better informed. This is great analysis. I’m a newcomer to the value of place names and their potential for cultural exploration of our own past, and as a reservoir to draw stories from. The culture of the Gàidhealtachd is unquestionably linked to the land and the resources that the land can provide. Who owns the Highlands, the whisky industry, the salmon farms, the sources of green energy? Gaels? Scots? If not, why not? Might as well call it the John Bull Hydro Scheme. Trashing Gaidhlig place names most certainly make the point about who owns the Highlands. Not the indigenous Scot, Celt, Gael. That’s for sure. Taing, tha seo fìor mhath, a Mhàiri. We have become disconnected and culturally locked out from the land we live in for many reasons. Gàidhlig can help to unlock it again.